I am sure people really don’t care, they are more concerned with themselves and what they can get. Keep shooting, maybe one day people will wake up and care about each other. But we need to keep working the pictures so they will care. You know the expression about leading a horse to water but not being able to make it drink? Well I am pretty sure that is a good analogy. People tend to see what they want to see and dismiss the stuff that may not be the vision of the world they feel part of. Great comment, I thank you for it. Hello Anton when you go out-and about after work. Taking photo of the homeless. Do you think to yourself. How am I help these poor people,who have no choice but to try and live the life. I myself have take images of people,who are homeless. In the Wirral and Liverpool.But then stop as someone said is this fair and how is it helping. Degrading as they have no choice. And said for them. Because do they wanted?to be photograph at the end of the day. I know you asks them but think about it. Their has be people homeless for hundreds of years. How this going to changed things now. Hey Mark, it is not about changing anything. A photographer can only ‘show’ what they see and leave the judgement to the person who sees his/her work. Street photography is all about photographing what is around you, the environment that you exist in, a small glimpse of ‘your’ world. It is an awkward moment when you click the shutter and capture a fraction of a second of another persons life and it comes with a moral and ethical dilemma. What right do you have to ‘claim’ that image? Why are you taking the photograph? What point are you trying to make? There are so many images that HAVE changed the world and our perception of it. Long may that freedom continue. Yes Anton, I get we’re you are coming from,about letting other people make the own mind up. But is it ethical. To go out and capture a person who’s homeless on the streets. 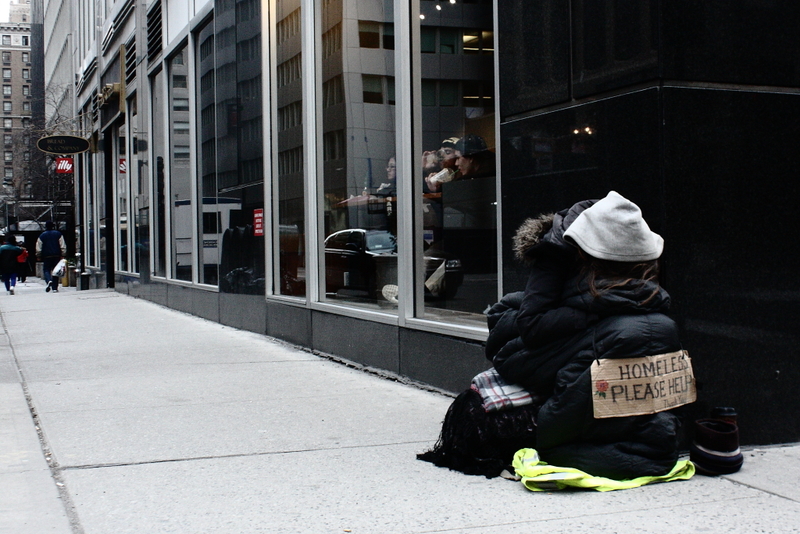 I wanted to make people think,that we should not have people livening on the streets. In a world that it should not happen now. I go out and around Liverpool and the Wirral. Capturing people in the streets. And sometimes homeless. And then putting on Flickr. But then I got people saying it unfair on the homeless to take their image, it degrading for them. They said it very easy,to capture a poor person. So I just now look for the interesting characters of the Wirral and Liverpool. Don’t get me wrong Anton. I do wanted people look and think when they see my photography’s. 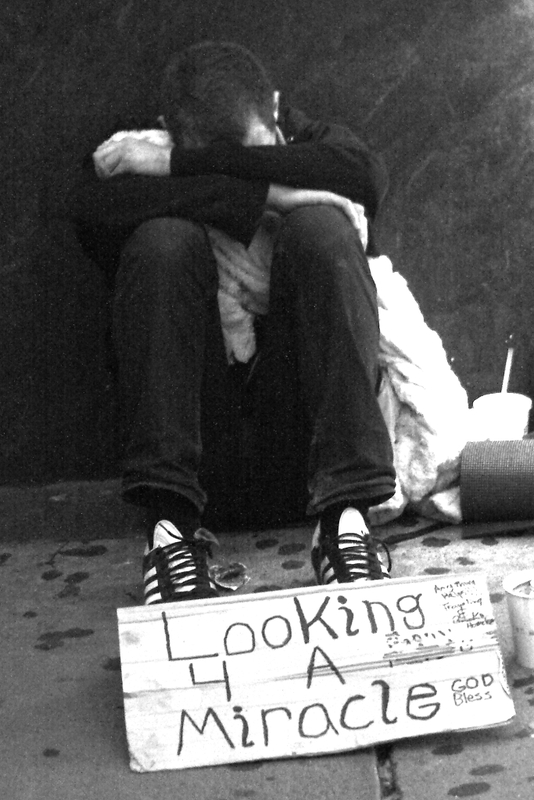 I do have some pictures of people that are homeless,on my flickr site. I just stop capturing them now,as people have said is this ethical in a world we live in. I know it happening all over the world. When you go on holiday. Your post is extraordinary. The questions you pose are so important and the right answers could be so impactful and benefit our country as a whole. In your images I see people with hearts, souls, and most likely medical/mental health needs that have displaced them. 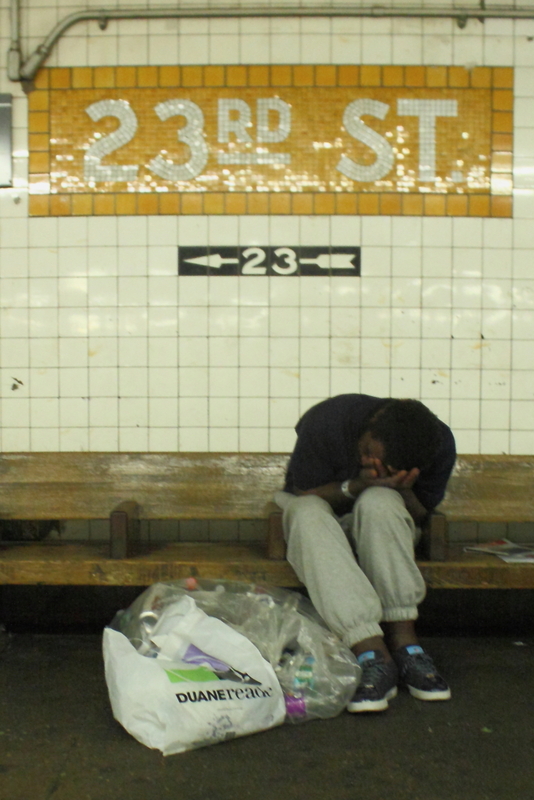 It is important for people to realize that not all homeless people are homeless because of drugs and/or alcohol. Many have medical diagnosis that drive the people out of the safety of the life they’ve previously know. Family and friends don’t understand them, can’t help them, or have given up on them leaving them no place to go, no place to call home. It breaks my heart. 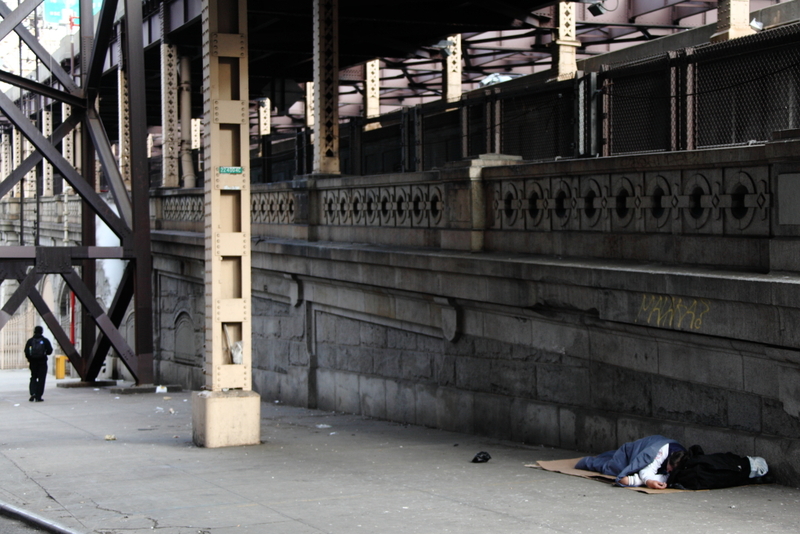 I don’t live in the city, but even within the affluent community that I live in, there exists homelessness. Here, however, there are shelters, food pantries, and organizations working to support them if they are willing to come in. It isn’t enough, but people who are aware are trying to help. But, all too many, just like you mention, walk right on by as though these people are nonexistent discarding the human reality that they are people, not frightening beasts who have intentionally chosen this path of poverty, homelessness, and filth – except those in Portland where, because the climate permits, have a large population of homelessness by choice. Great post and I thank you for your passion for those less fortunate! If you ever decide to further your efforts, I be proud to walk along side you in an effort to help those in need. Thank you Robyn, your compassion shines through. As a photographer you see what I see, I think we are geared to look and to notice the things around us, it is part of the process. I know this problem is not confined to NYC and I doubt there is a state in the U.S.A that is untouched by it. My aim is to document the wider social problem in America. One day I will. Thanks for your ongoing support. You are doing incredible things that will eventually make a difference. Keep at it my friend! Speaking of leading a horse to water, there are actually many cities who have fantastic programs for the homeless. NYC is no exception. 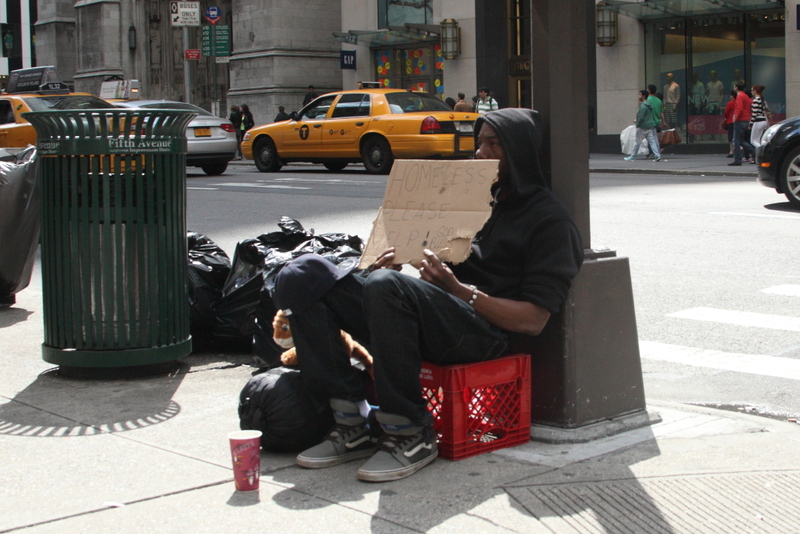 However, they can never achieve a 0% homeless rate and that is because some people refuse to cooperate with services. 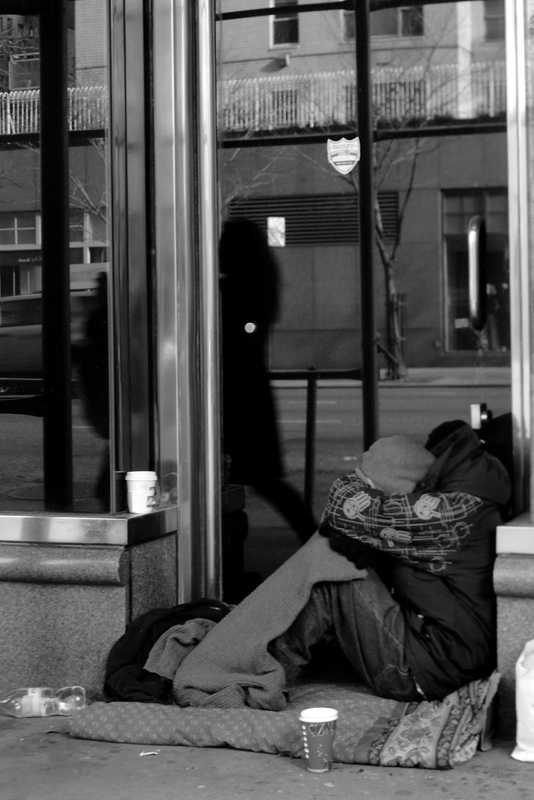 Whatever the reason, be it mental illness or something else, I don’t think we necessarily need to feel guilty every time you pass someone homeless. You don’t know that they actually may be refusing to go to treatment. Here’s a thought, compile a list of local services and resources for the homeless and pass it out every time you take a photo of them. See how that goes over. No you are not but there not enough who do. Bravo for posting this sad and bitter image. Thanks Amy, I agree with every one of your words. We rarely have to stop and look at what we have. Things we take for granted would be a luxury for others and when we realize that, they become very special. Thanks for the comment. I have been inspired by your cause and the wonderful photography. Now I’m in the process of making homelessness an issue and bringing it to the attention of all I can. Thanks…..for the inspiration! You make me feel very humble Trish. If my work has inspired you then I could wish for no better compliment. Thanks. Brings me to tears. It’s a disgrace to our country that this is happening all over America. God protect those who are in such a dangerous and vulnerable situation! Clearly this is not just an American problem but a global one. There will always be some that fall on their journey, that will never change, but it is the growing numbers that are falling behind that is alarming. Thanks for the comment. It is not just in NY , this was what I saw in LA also. to be honest it was first time for me seeing so many homeless people around and I felt very upset about them. Living in big cities has pros and cons. I am Turkish and in my country of course there are many poor people but you can not see a person sleeping on the street, because somebody helps them, either their relatives or some donations, I think it is a cultural thing, if you see a person sleeping on the street you call police and police comes, helps etc. I know every country has their own policies, I hope US finds a solution for those who need help. The bigger the city, the bigger the problem it seems. Thanks for the comment. This is so heartbreaking. The last pic hit me hard. Hard to look at, even harder to photograph. I understand that some people would be much more comfortable not seeing this and pretending that there isn’t a problem at all. Thank you for the comment. just another layer of the fabric of any major city I’m afraid. I’m afraid it is going to take a miracle. Especially given folks who seem to feel the way Rebecca does in the previous comment. Taking advantage? WTF??? What possible motive could you have for raising awareness of the plight of these invisible and ignored people of the streets? Keep ’em coming! The rich could use a bit of shame. I think it is easier to condemn and look for reasons to distance yourself than come up with a solution. Thanks for your support. This a world wide problem. Here in Thailand is the same. As you say unless the back slapping finishes, we will see the continued homeless. We call ourselves humans? Not sure anymore. Well done on your blog. I hope these government people HELP. Keep up the fight for those who can not. I find your photos evocative. It’s hard to say ‘like’ to images of such desolation but they definitely are worth taking speaking as they do to the poverty that lurks in all of our cities, always has, and likely always will. Thank you, you are right, it will never be eradicated completely but those who can help should! Thanks for the comment.